Western design with super comfortable design. 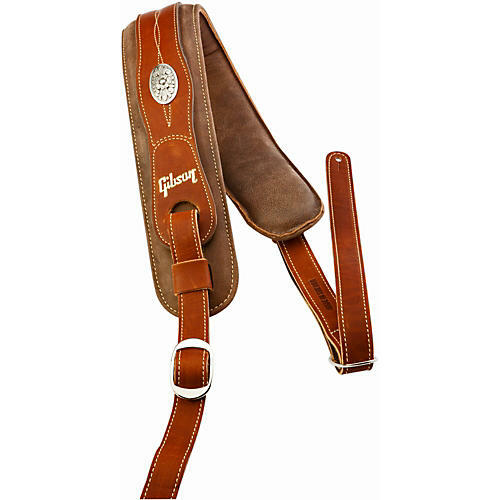 The Austin Premium Comfort Strap is constructed of top-quality leathers combined with 1/2" memory foam padding which makes it even more comfortable than the average strap. The Austin features detailed stitching and decorative conches to give it a western, acoustic vibe. Thanks to the memory foam, you'll not have that tired, sore shoulder like you normally get when you take it off after a long night of practice or performing. Length 48" - 60"
Order this great strap today!